Yes, I still have ~20 pages to write. 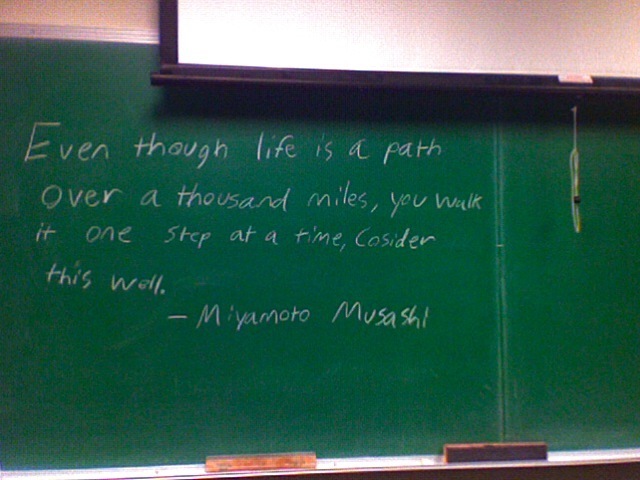 Yes, I smiled when I walked into one of Stetson's old computer labs and saw this mystery quotation scribbled on the board. Three cheers to random acts of kindness!